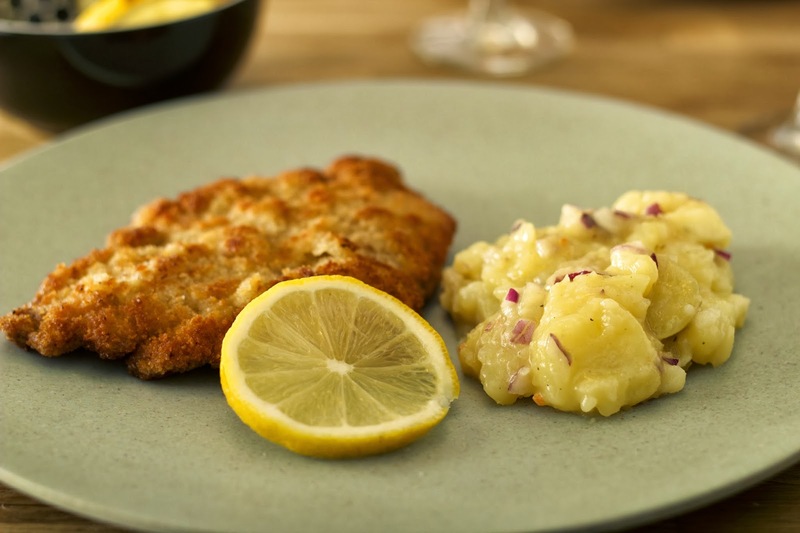 now it’s time for a nice “Wiener Schnitzel” with potato salad. I will prepare the salad like my mom does. The dressing is not based on mayonnaise, but on bouillon. 1. 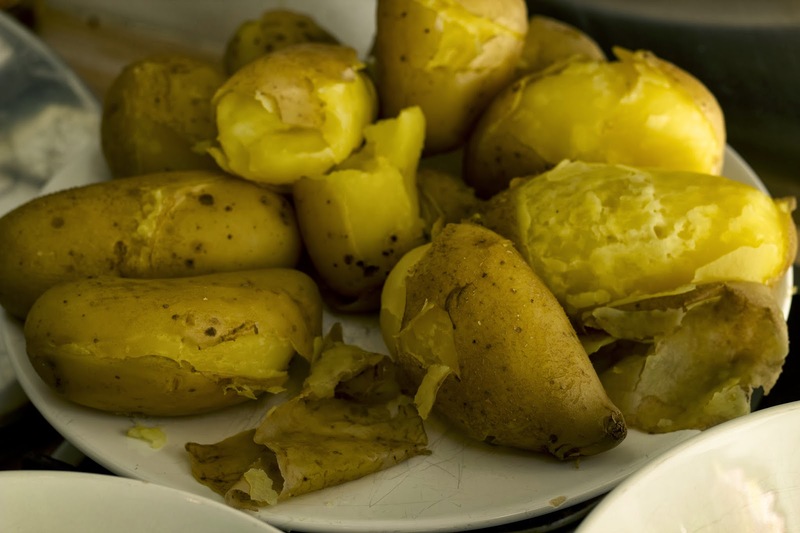 Bring the potatoes to a boil in a big pot. After 20 min remove them from the pot and set them aside. Now they have to cool down for 20 min. Peel, slice and put them into a bowl. Add chopped onions, mustard, vinegar, oil, salt and pepper and bouillon. Mix all ingredients with two tablespoons. 2. 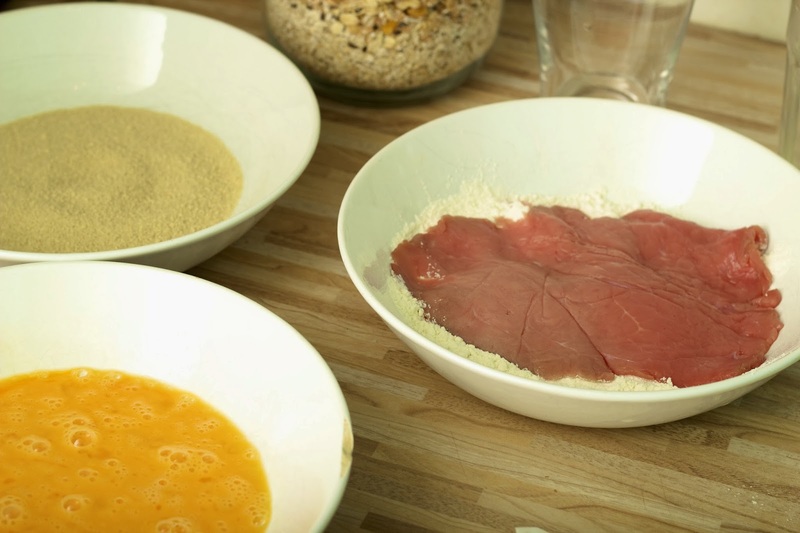 Take three soup plates and fill the first one with flower, 2nd with whisked eggs, salt and pepper and last one with bread crumbs. 3. The veal escalopes have to be pretty thin (2-3 mm)! Grab a pan, place the escalopes on the kitchen counter, cover them with kitchen foil and pound them with the pan. 4. Now toss the escalopes in flower, eggs and finally in breadcrumbs. Take a large pan and heat up oil and butter. The base of the pan should be completely covered. 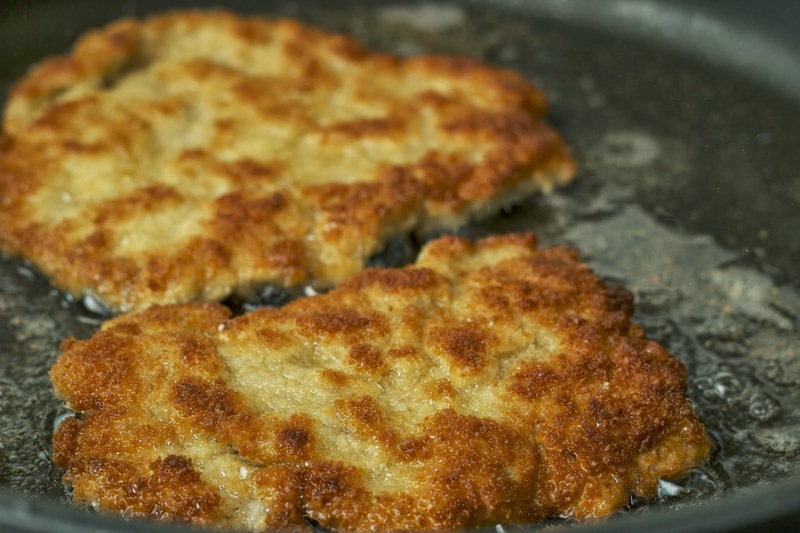 Fry the schnitzel on both side till they are brown. Meanwhile cut the lemon in slices. Drain the schnitzel on kitchen paper. 5. Check if the potato salad needs more salt. Arrange it on a plate and enjoy!